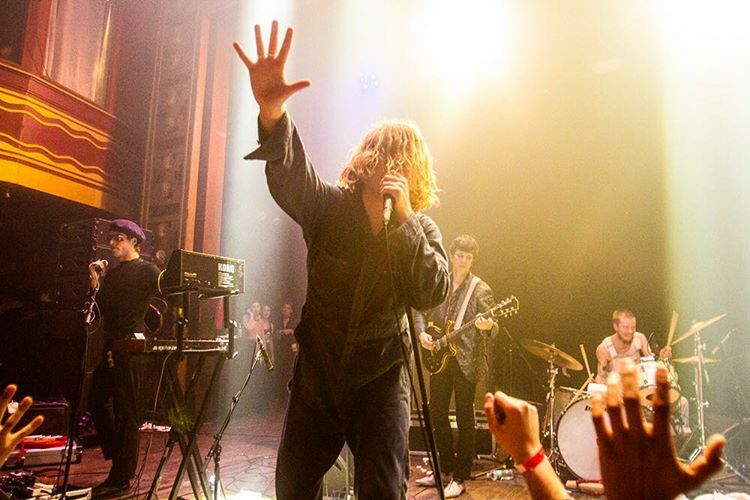 Ty Segall has been all over this site for years, and the reason we keep coming back to his shows is the same reason that he sold out these two nights at Webster Hall last weekend: He’s one of the most exciting live acts around. Here with his latest band, the Muggers, Ty delivered a powerhouse 90-minute set that covered the entirety of the new Emotional Mugger album before delving into some of his best-loved jams from the past few years. Compared to some of the more intimate Ty shows we’ve covered in the past, this first of the two Webster performances had all the ridiculousness and bombast of a Big Rock Show, with Segall hitting the stage in a mask to the tune of a baby crying. The first few songs felt both true to his garage roots and ridiculously over the top, with Segall barking his lyrics into the microphone, hurling himself into the crowd, and working overtime to try to turn the big room into some kind of facsimile of, say, Death By Audio circa 2012. As time went on though — particular into the lengthy jamming on “Feel” — what stood out most was the quality of the Muggers, who managed to undergird the shambolic moments with accomplished playing. That’s part of the great paradox and joy of Ty Segall, too — you’ve got a prolific performer with a great voice and pop sensibility, but who isn’t afraid to go wild, to get dirty, and to have fun. 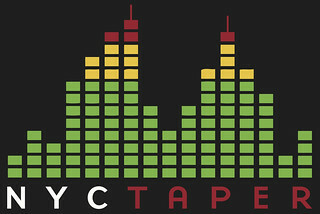 If you saw any of the New York acoustic shows in 2015 (almost all of which we covered), then you know what I mean. Most garage-rock singers would be lost playing acoustically on a stool — not only would their uneven skills be exposed, but the songs wouldn’t work without the fuzz. Segall doesn’t have that problem. His songs move crowds in any context. The show closed out with a stretched-out, saxophoned-up “The Singer,” both a tribute to the man himself, and his ability to capture a crowd no matter how big the tent. I recorded this set with a soundboard feed and Schoeps MK41V supercardiod microphones. Even though we weren’t in a DIY venue, the sound bears many of those hallmarks: loud, in your face, and raw. The recording is true to that. Enjoy! Visit Ty Segall on the web, and buy Emotional Mugger from Drag City here. Great job! Totally rocking show.